The Electrical Workshop staff has acquired years of experience and is equipped with tools and devices necessary to pre-fabricate cabinets for constructed, modernised and starting-up 110kV, 220kV and 400kV electrical power substations. Our highly qualified employees perform the assigned duties with great care and accuracy, what translates into professional look and high quality of our products. 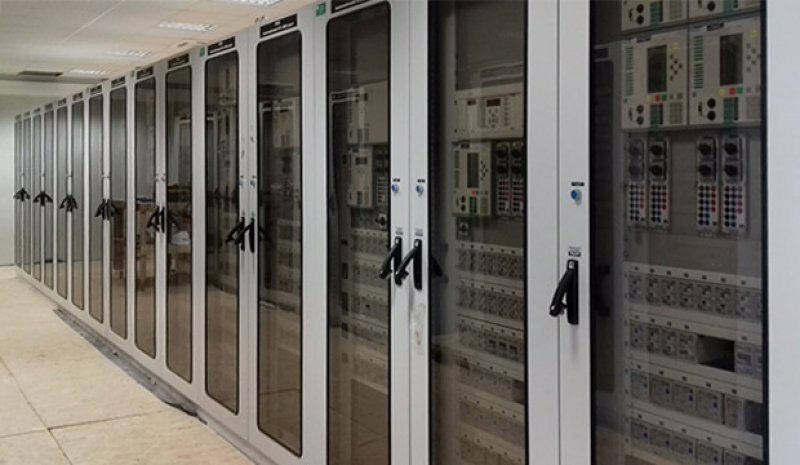 We assembly electrical protection cabinets, cable cabinets, control cabinets, central signalling cabinets, electricity meter cabinets, telemechanics cabinets, intermediate cabinets etc., dedicated to the electrical power sector. Our technology allows pre-fabricating cabinets based on individual proprietary designs (compliant with the SIWZ specification) or those provided by the ordering customer. The goal is to meet the customer requirements; we care to make all our products safe, reliable and modern. We are open to various solutions, as long as they may contribute to our customers’ satisfaction. Depending on the ordering customer preferences, we use high quality instruments and components made by the majority of leading manufacturers operating on the European market.